South Suburban Savings: Get TWO YEARS of Parents Magazine for only $7.99!! WOW!! 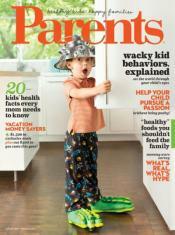 Get TWO YEARS of Parents Magazine for only $7.99!! WOW!! WOW! You can get TWO YEARS of Parents Magazine for only $7.99!! I get this magazine and love it. Lots of great articles and coupons. PLUS, you'll get a FREE Birthday Planner when you subscribe! This is the BEST deal I've seen in a LONG time!